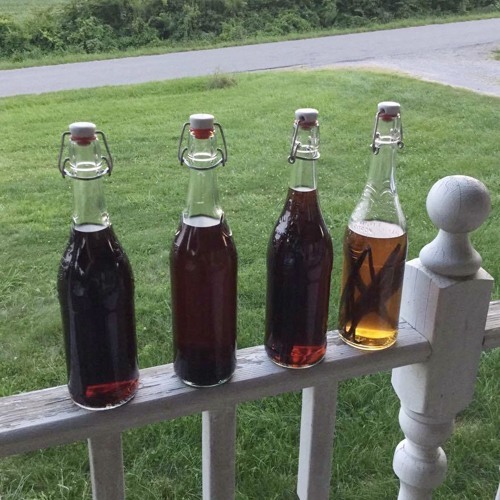 At long last, the saga of How To Save Money By Making Your Own Vanilla is a podcast episode! Months in the making, Mary Mac tells you how she made her own vanilla and the different methods you can use. Some of our math might be incorrect, but it's darn close! Be sure to check us out online on Facebook and Instagram (@marymacbakehouse), Twitter (@marymacmixes), and on our website, www.marymacpodcast.com! You can also see us in person at the Ellwood City Farmers Market (Saturday Oct. 7 is the last day for 2017) and at Standing Chimney the first Saturday of every month!